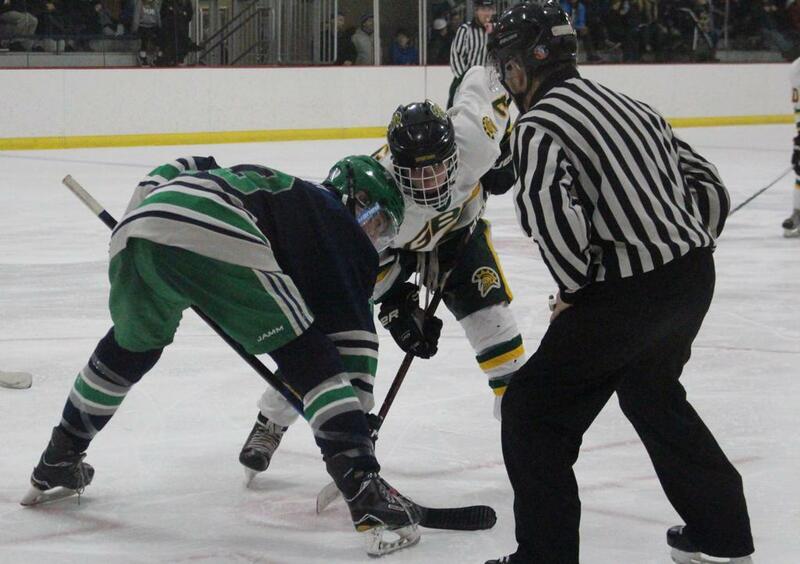 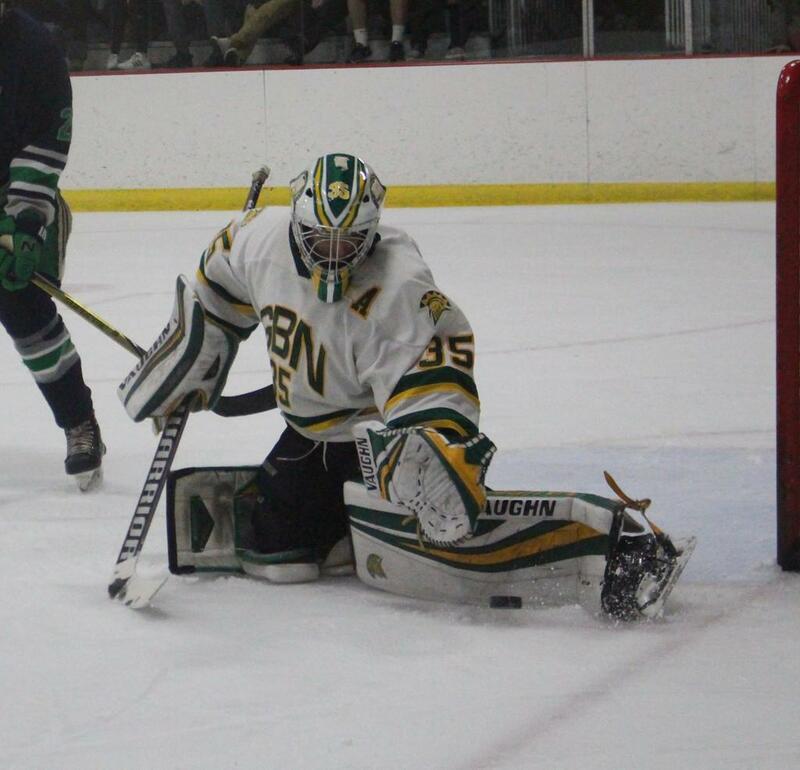 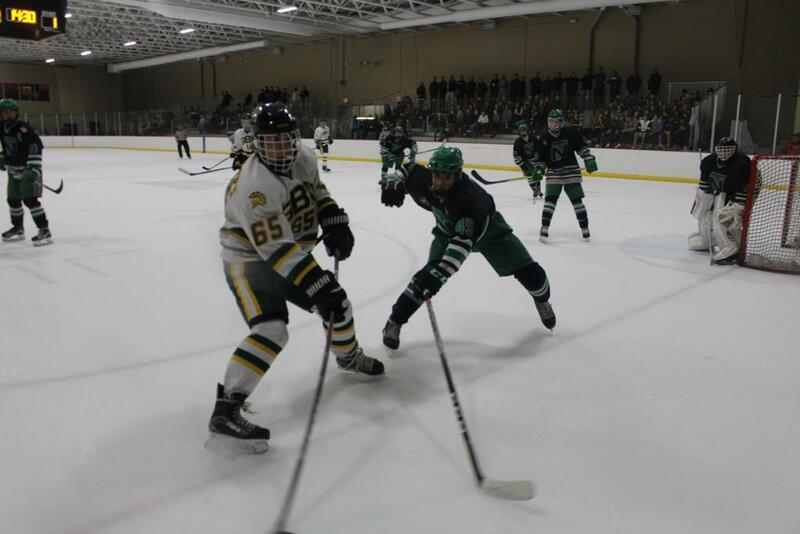 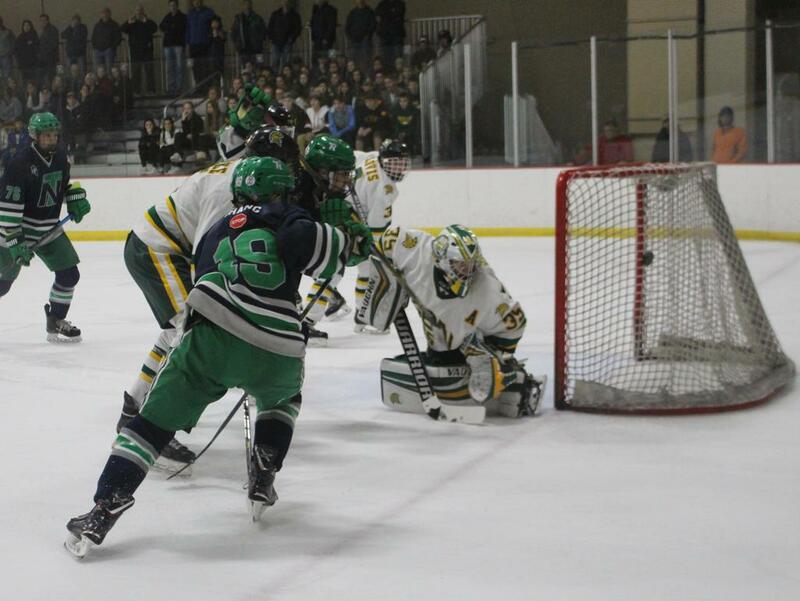 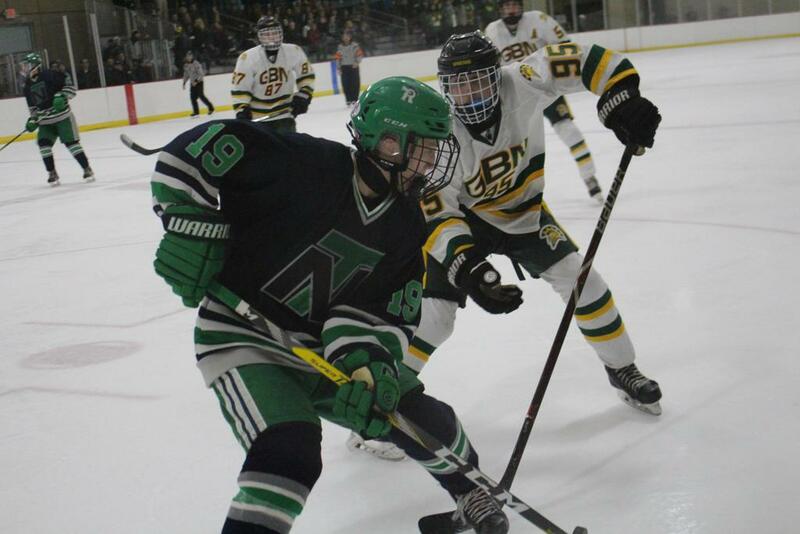 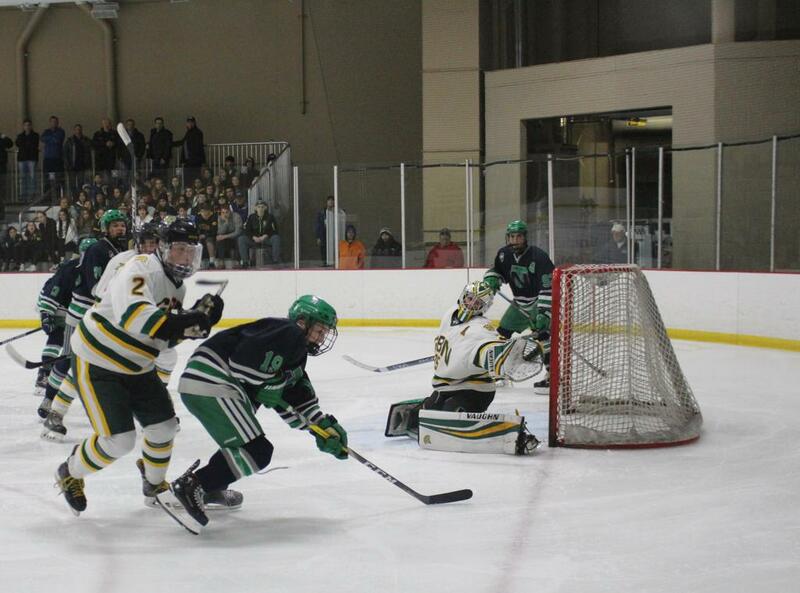 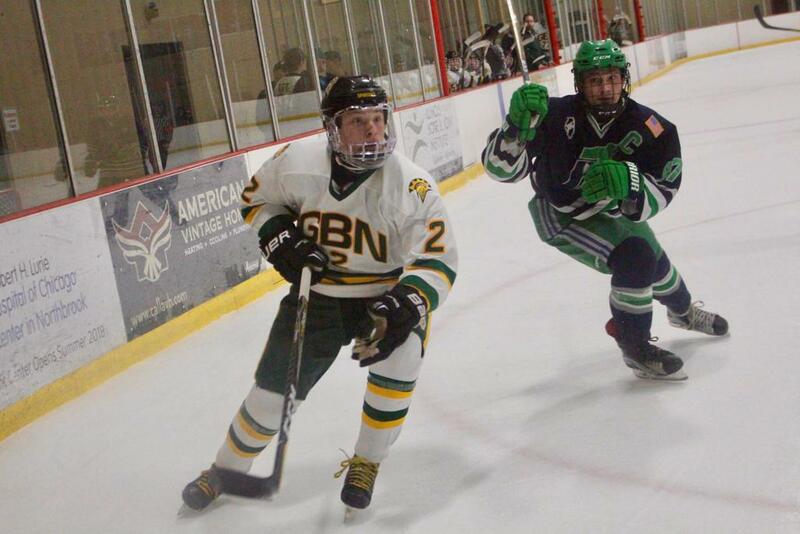 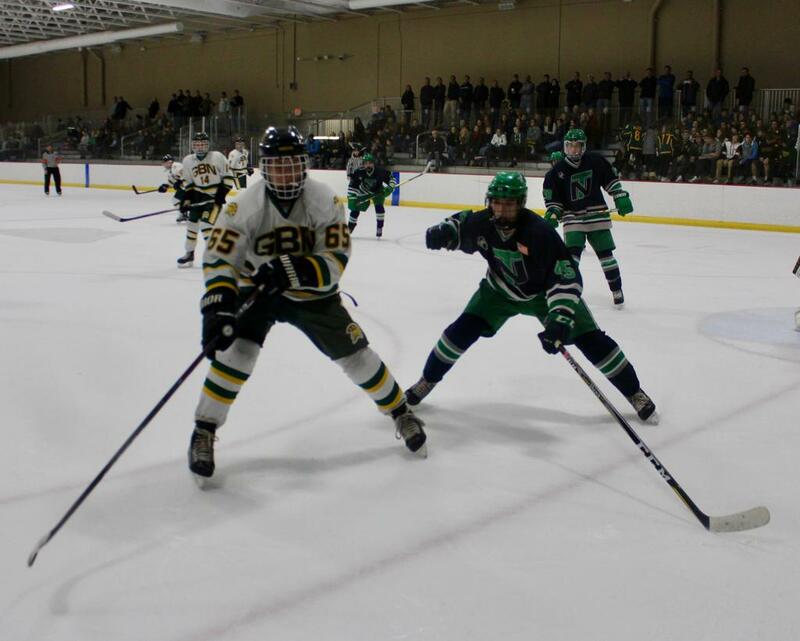 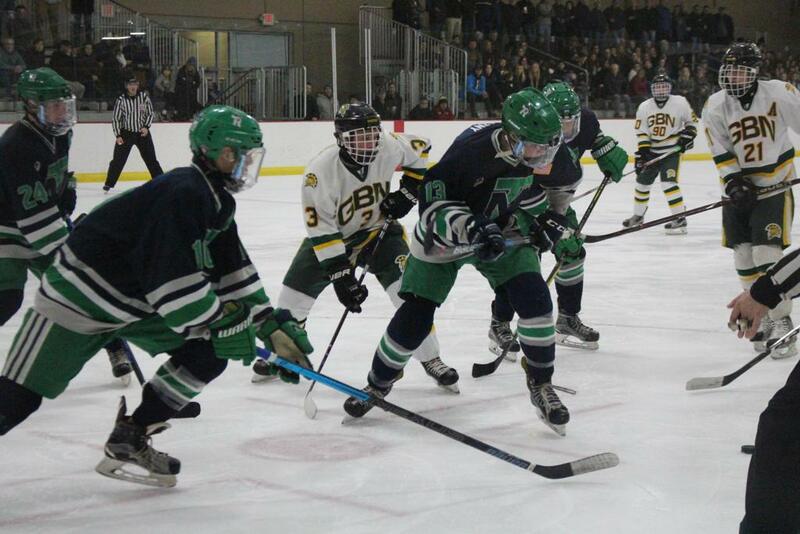 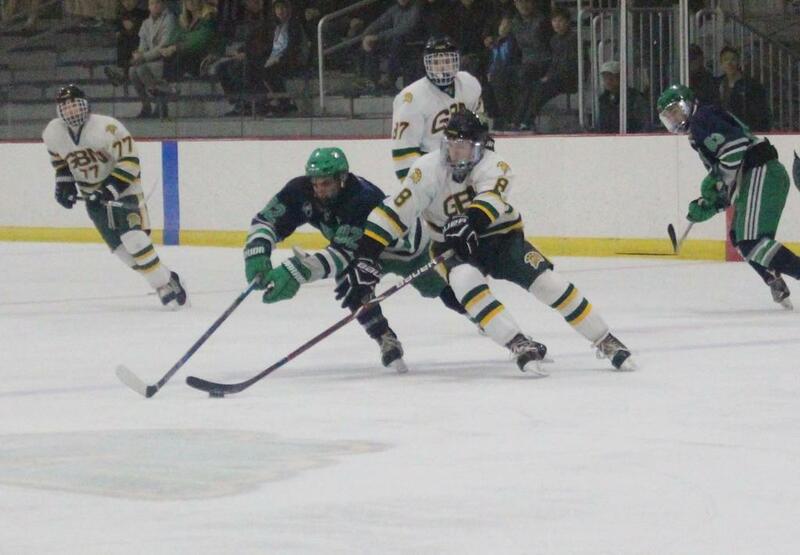 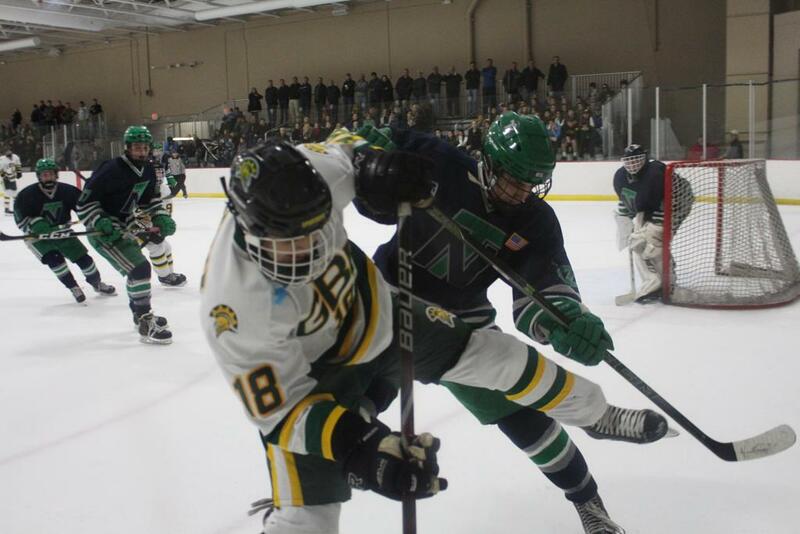 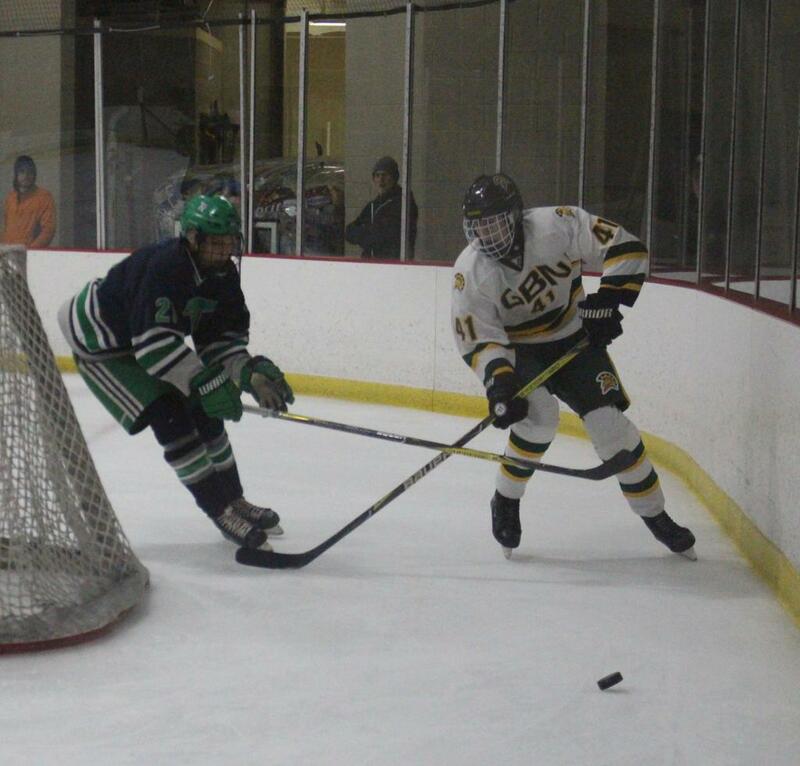 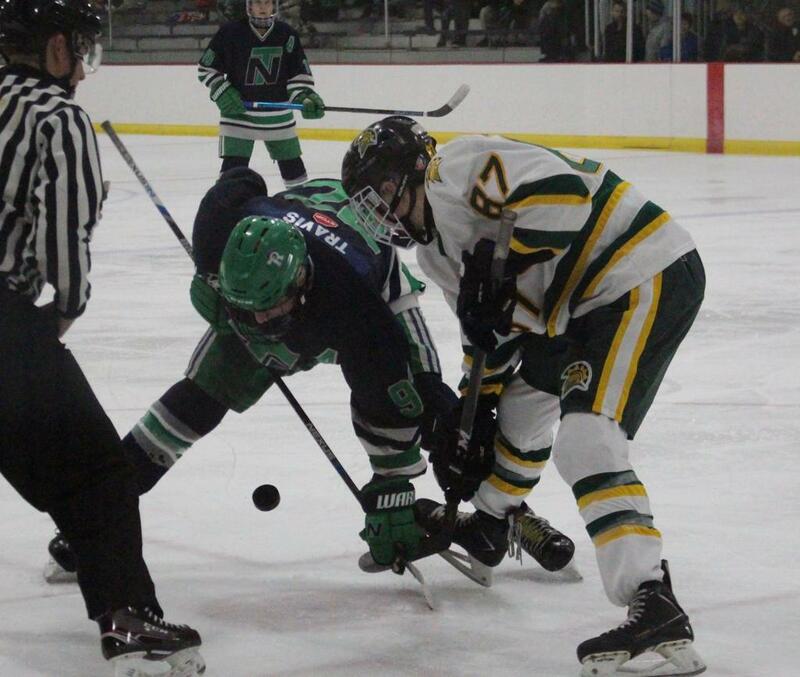 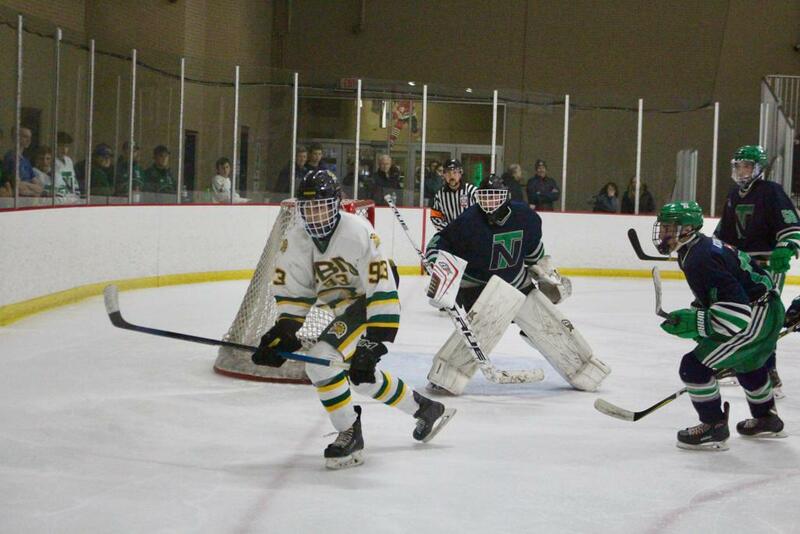 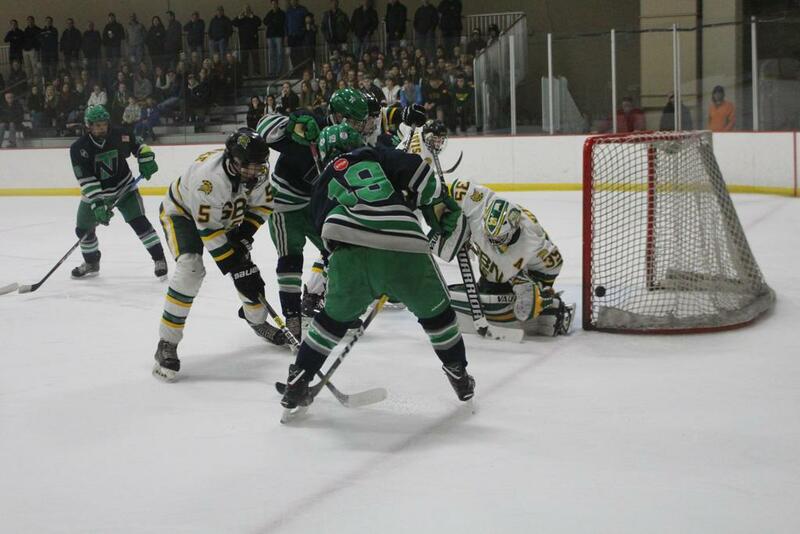 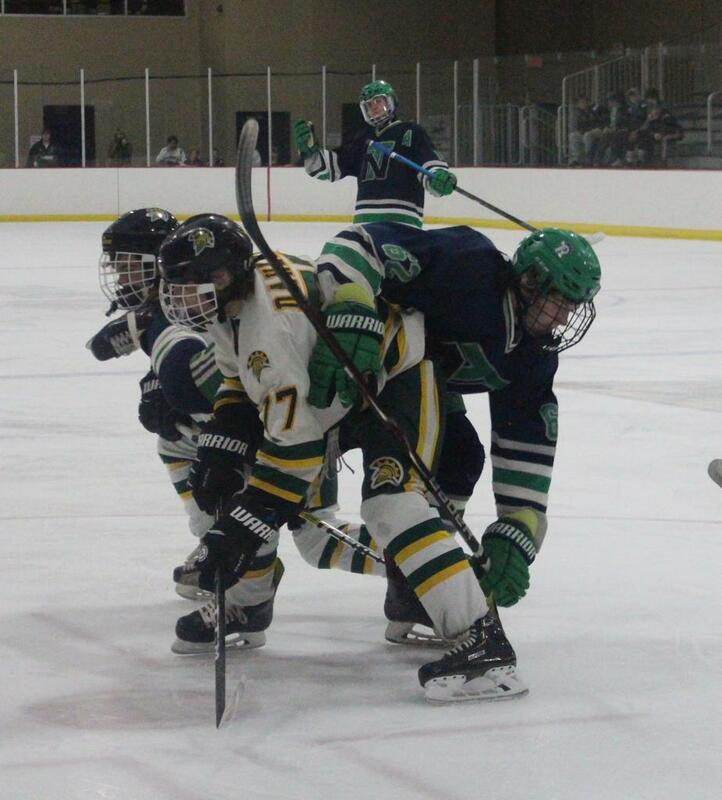 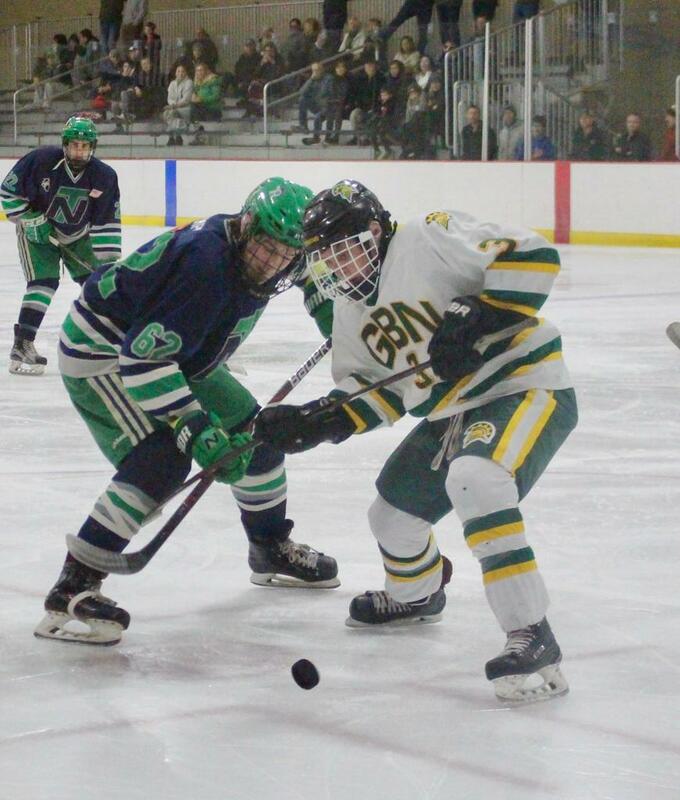 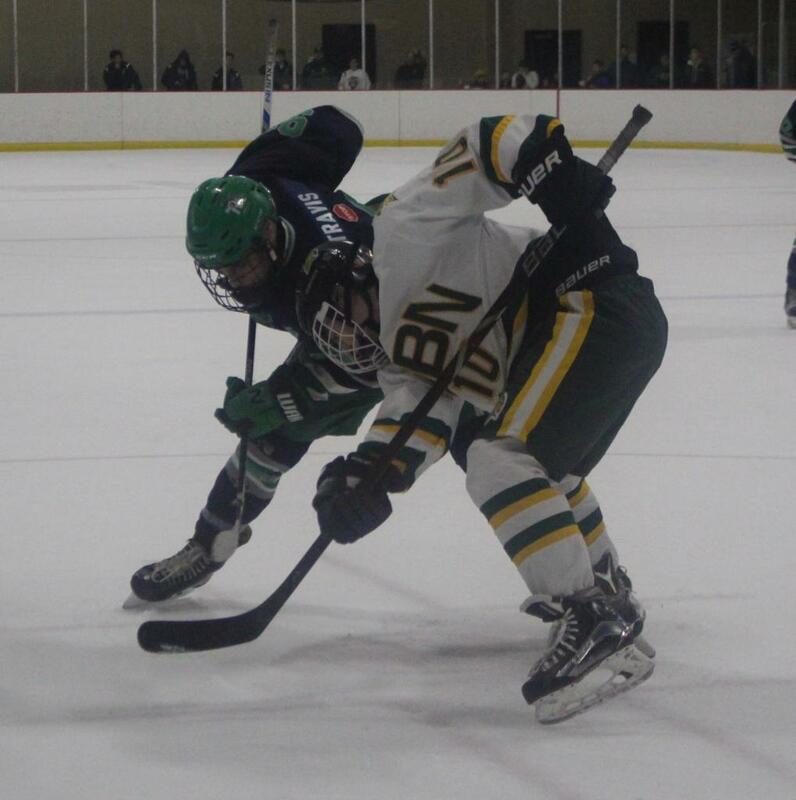 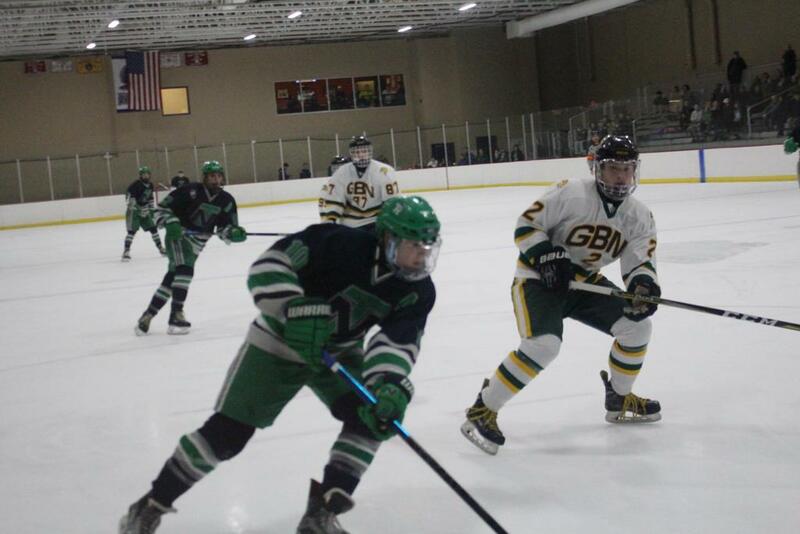 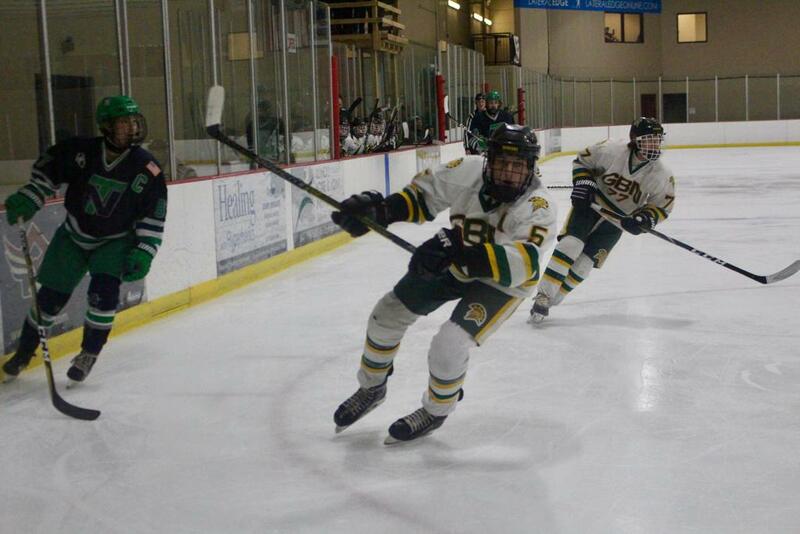 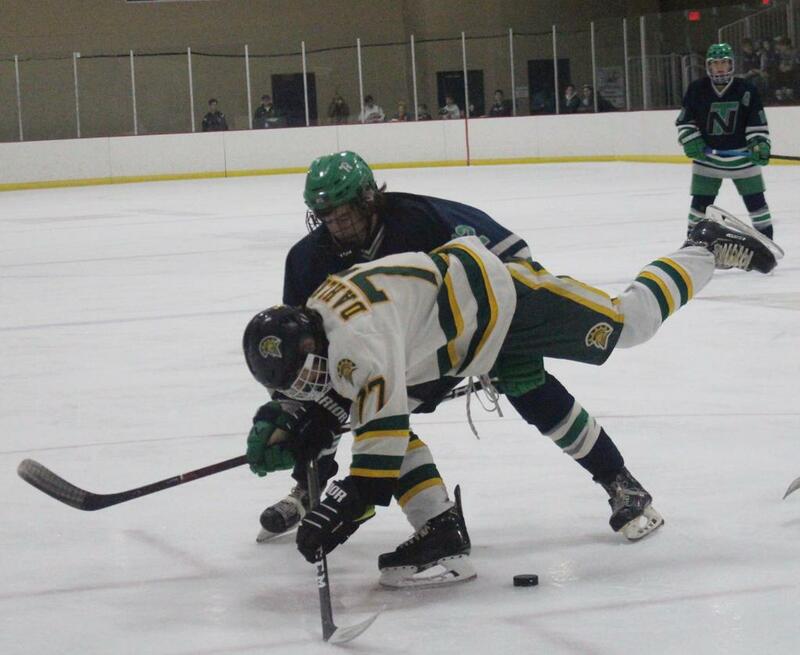 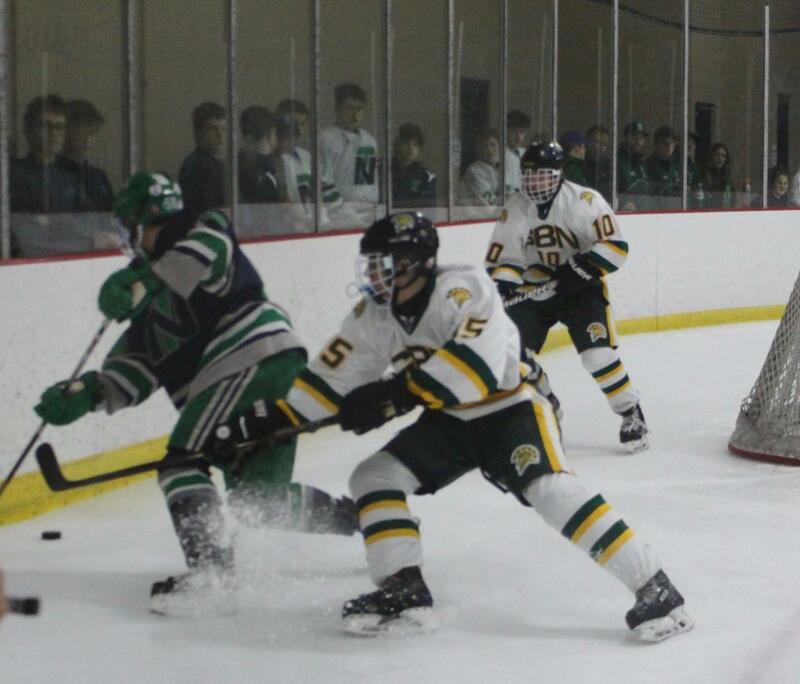 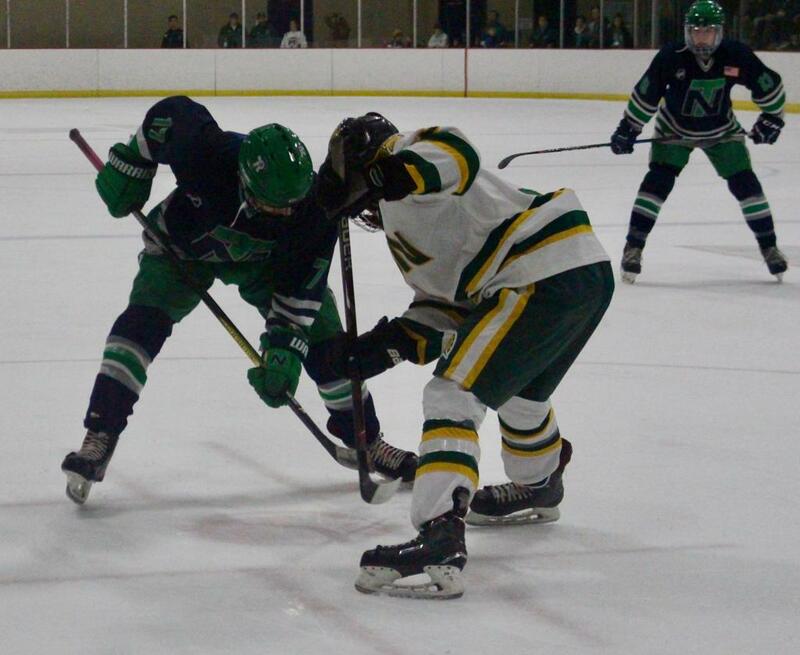 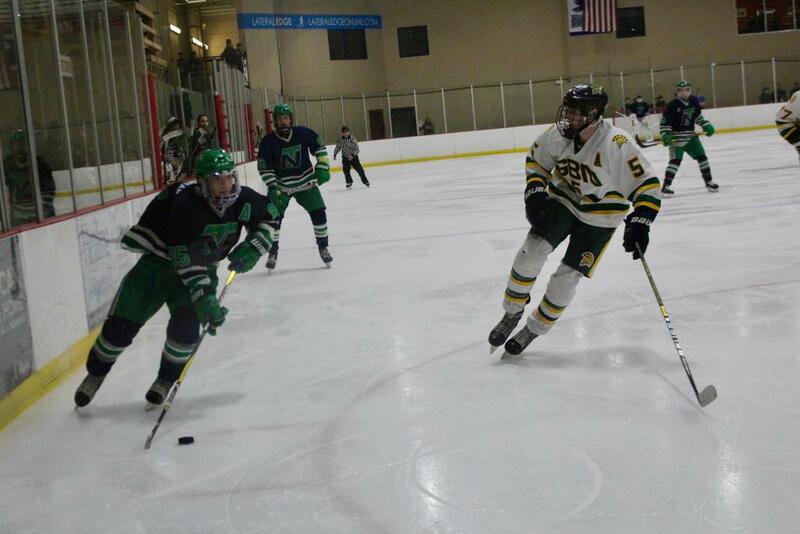 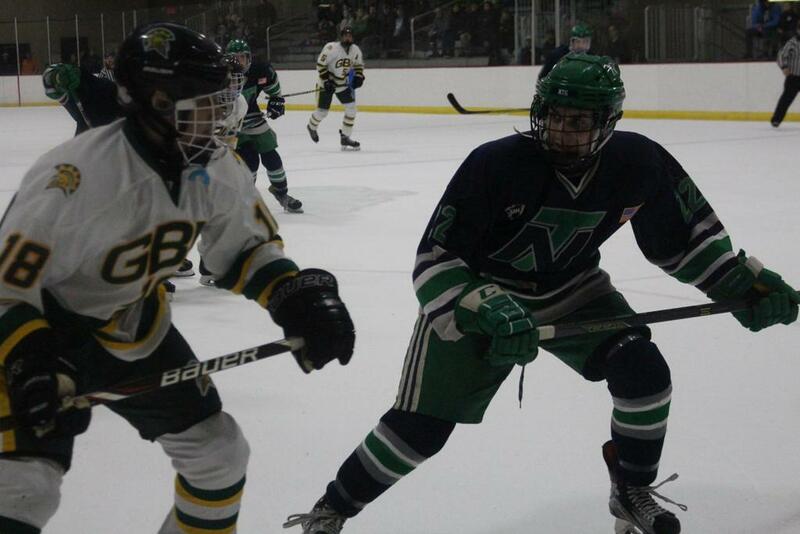 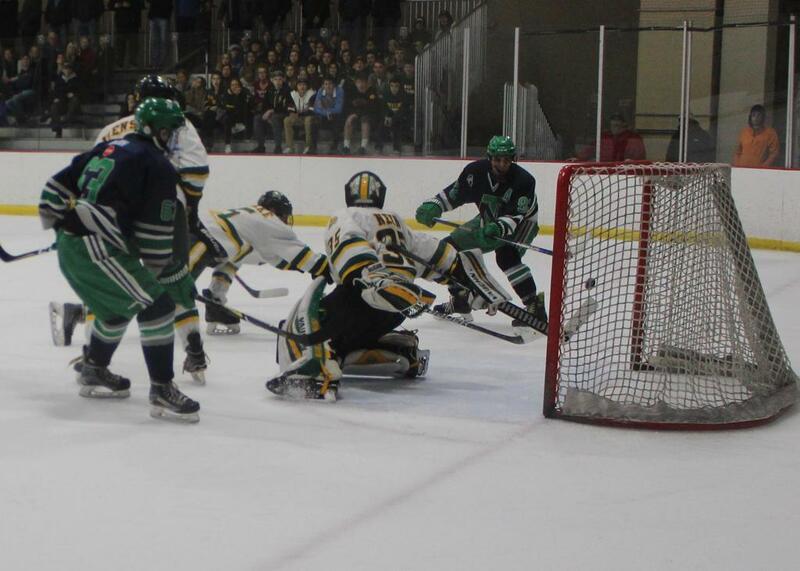 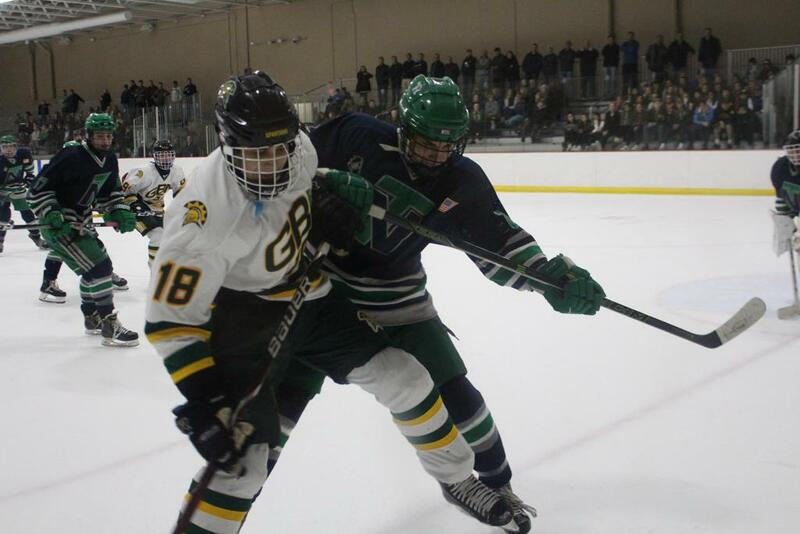 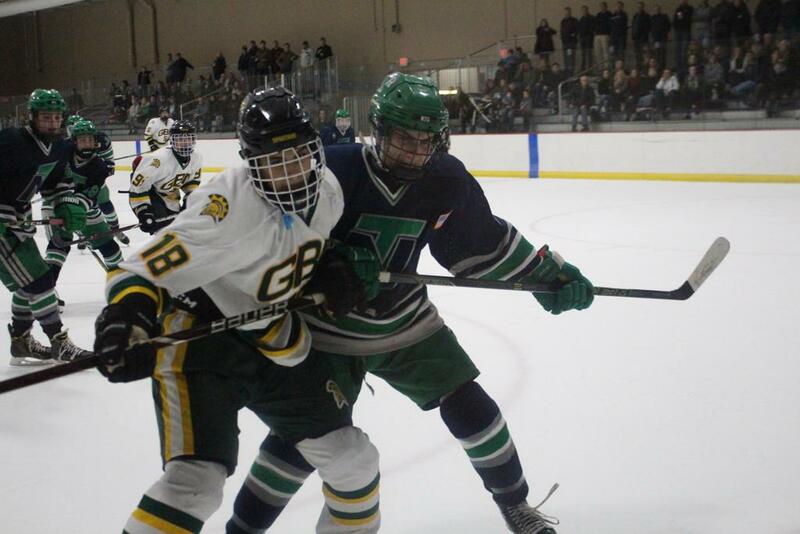 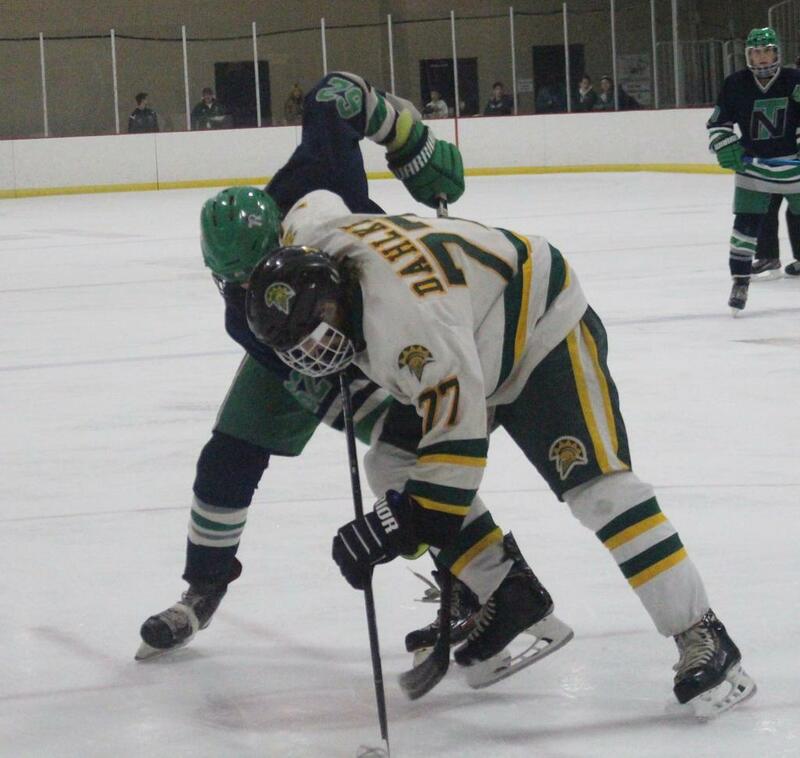 As soon as the puck dropped, Glenbrook North was in control. 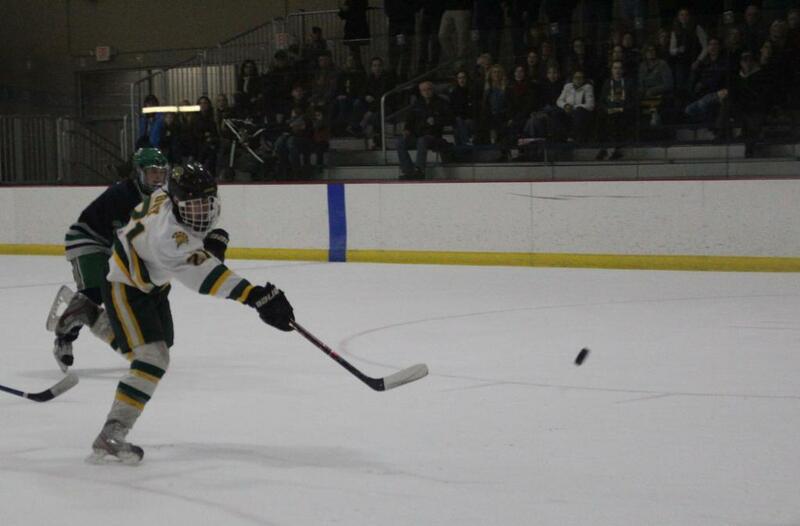 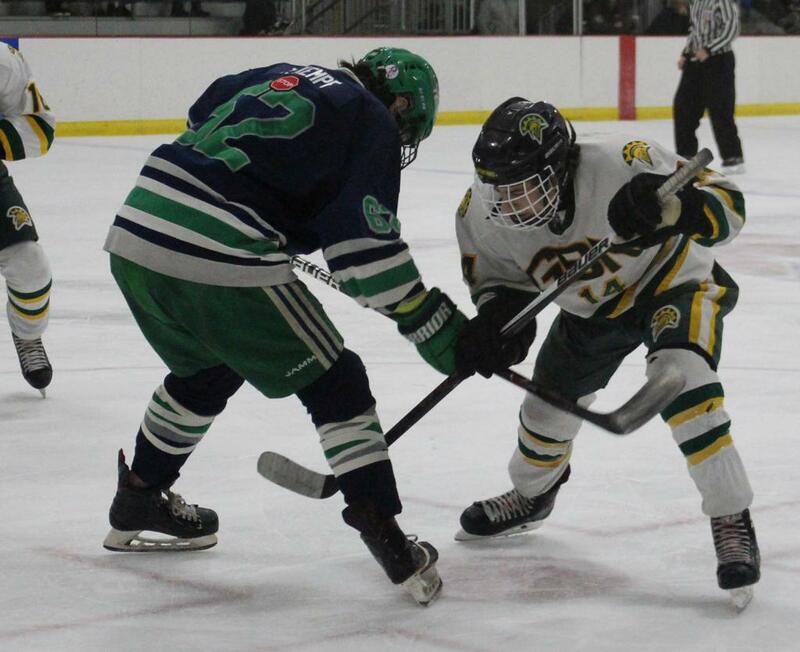 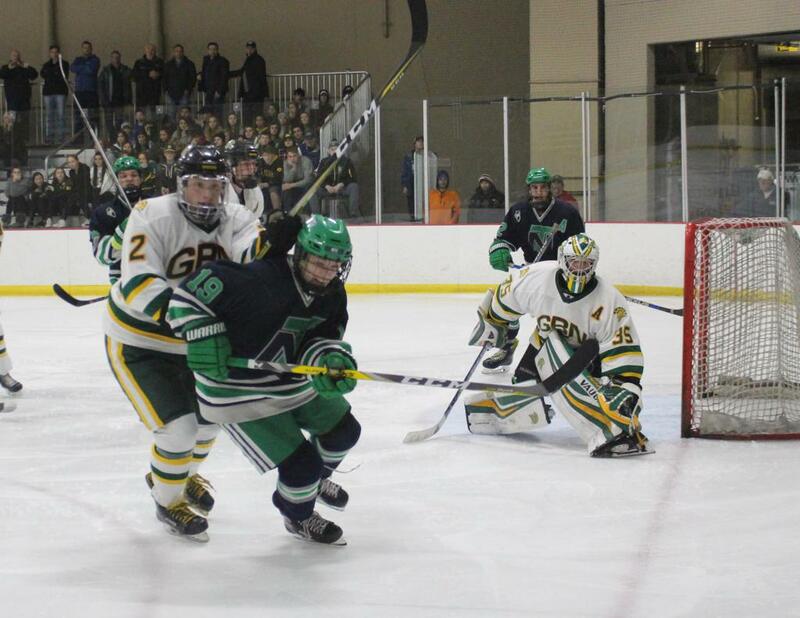 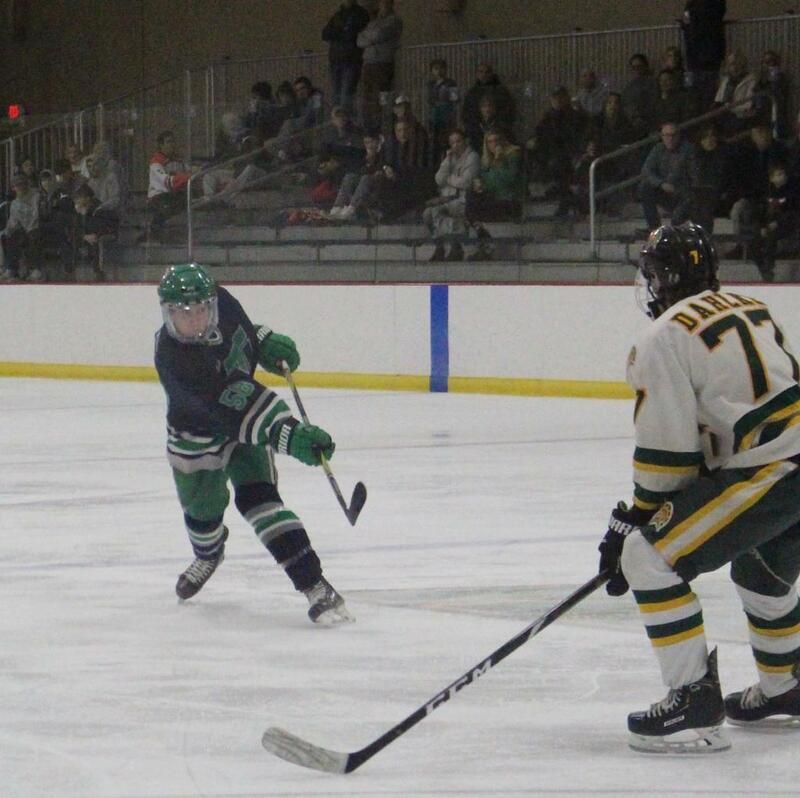 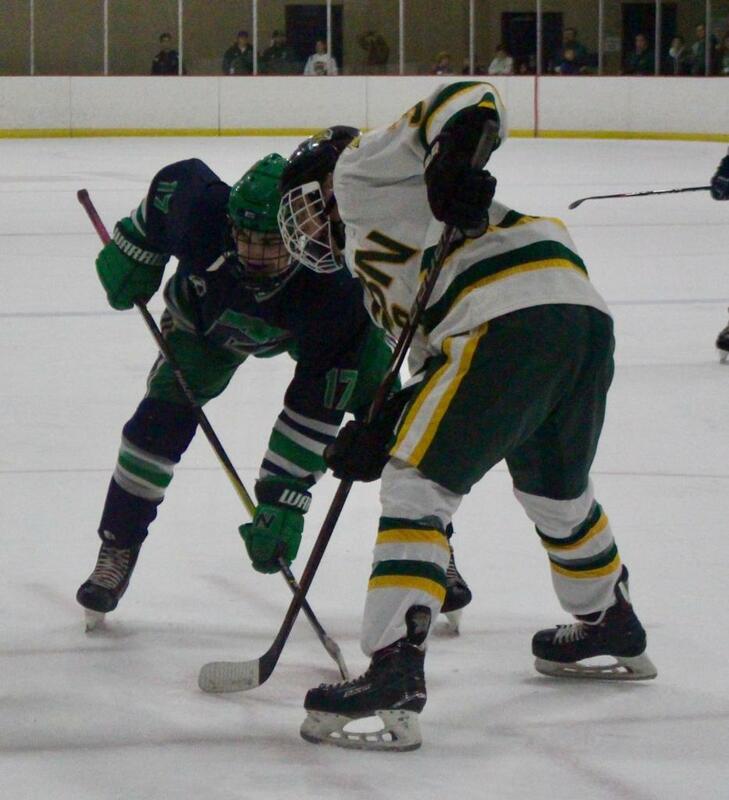 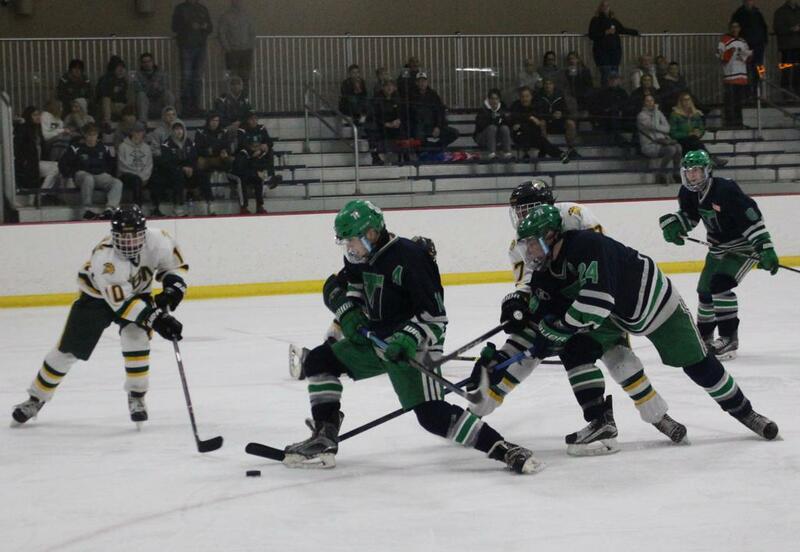 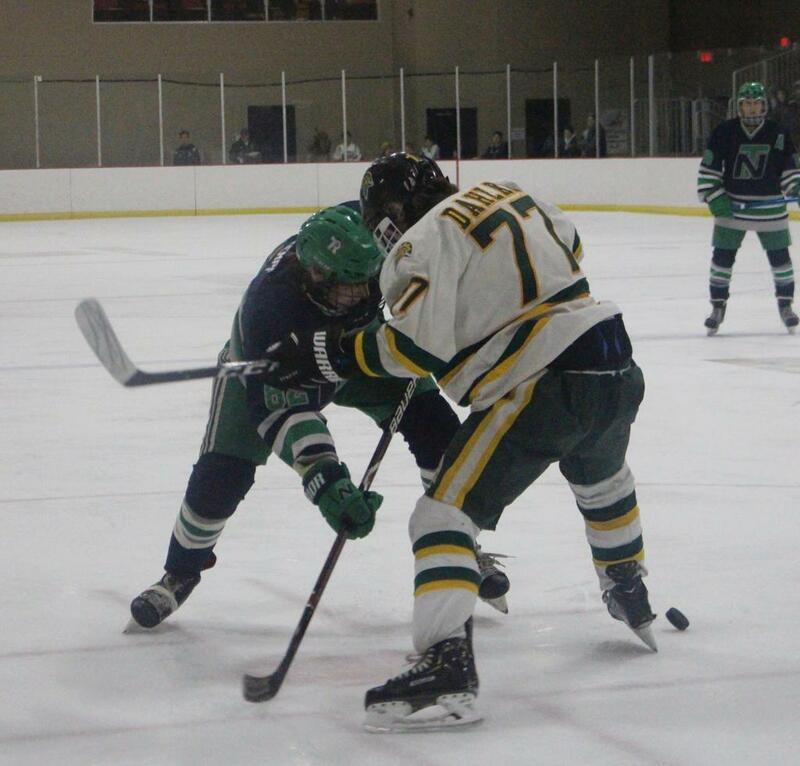 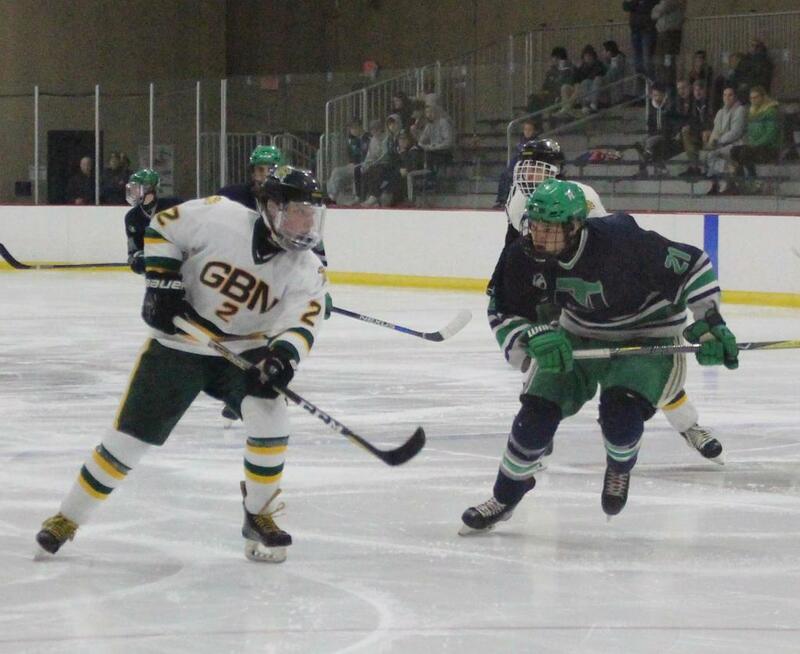 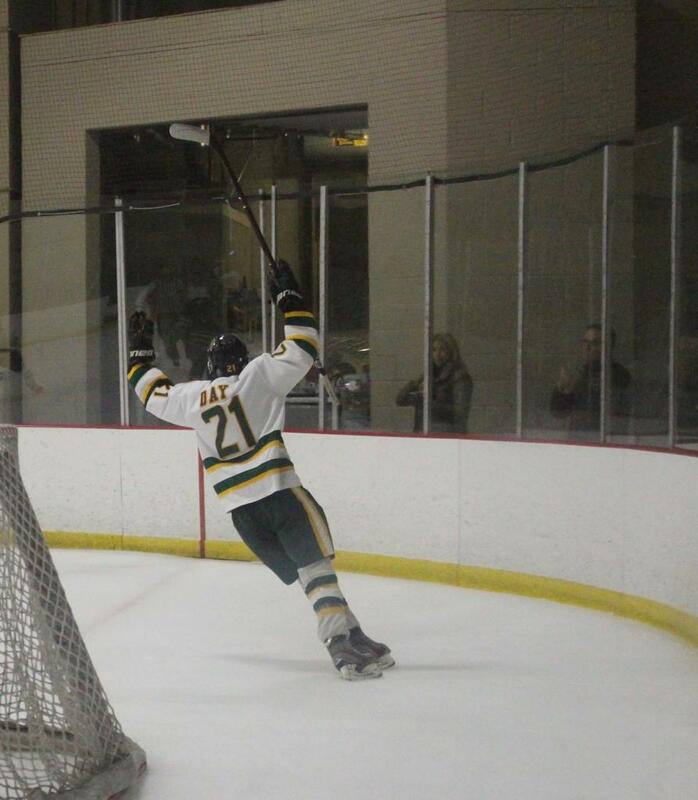 Mikey Day found the back of the net just 25 seconds into the first period; at the 13:47 mark, Casey Miller scored and Glenbrook North was up 2-0 over New Trier Green. 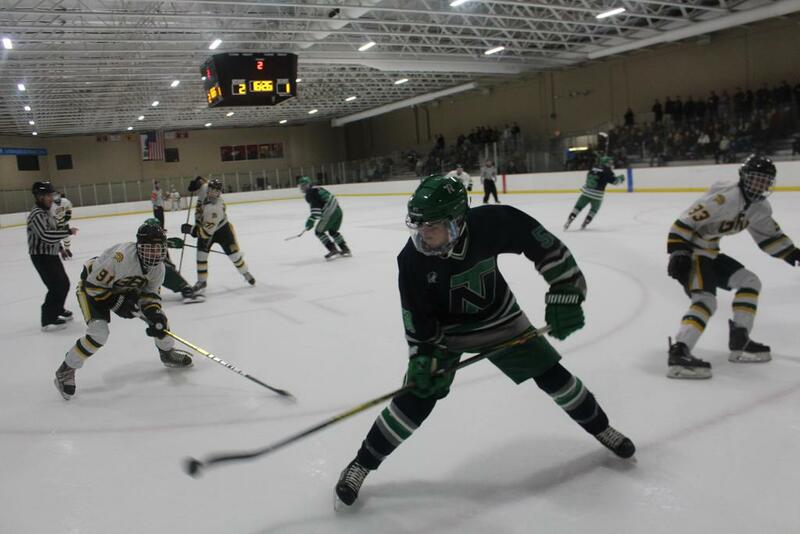 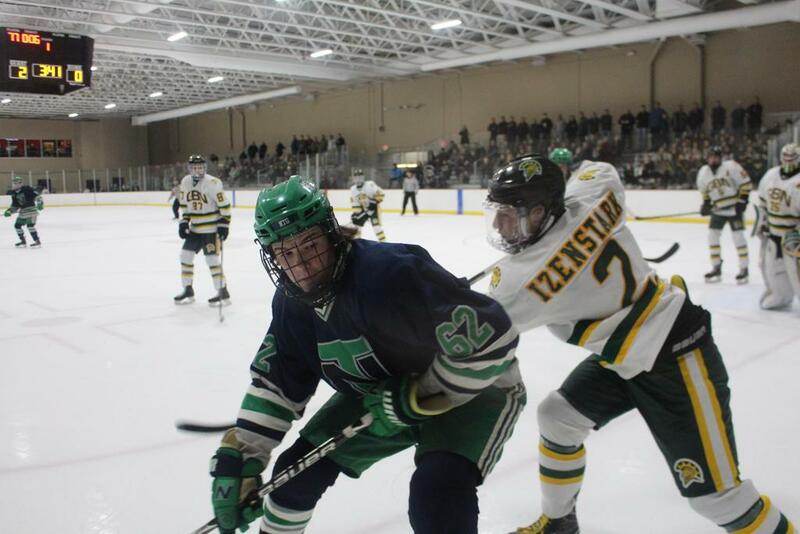 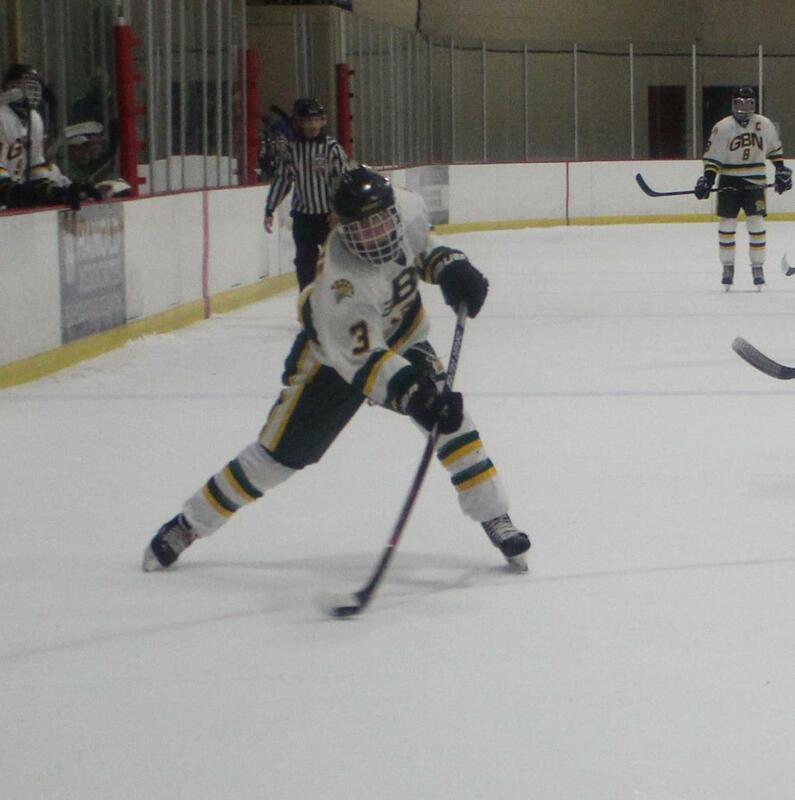 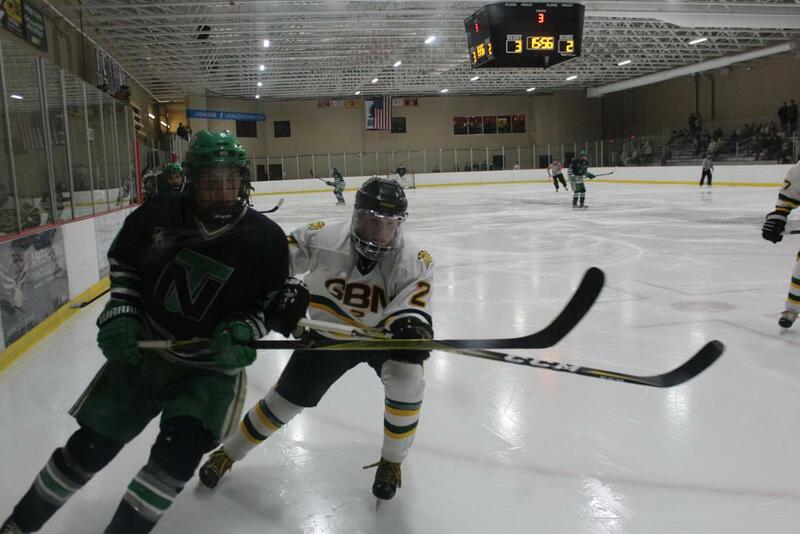 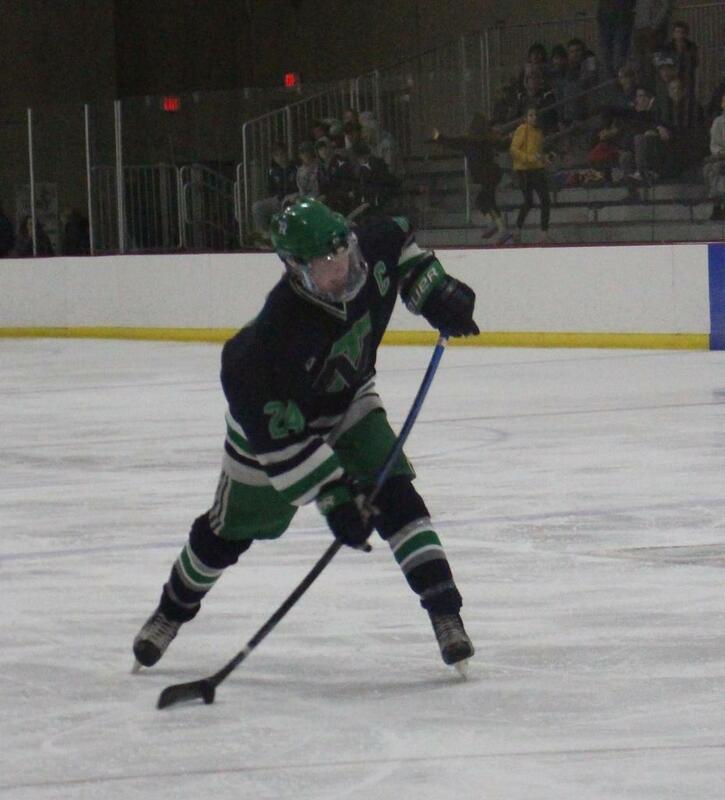 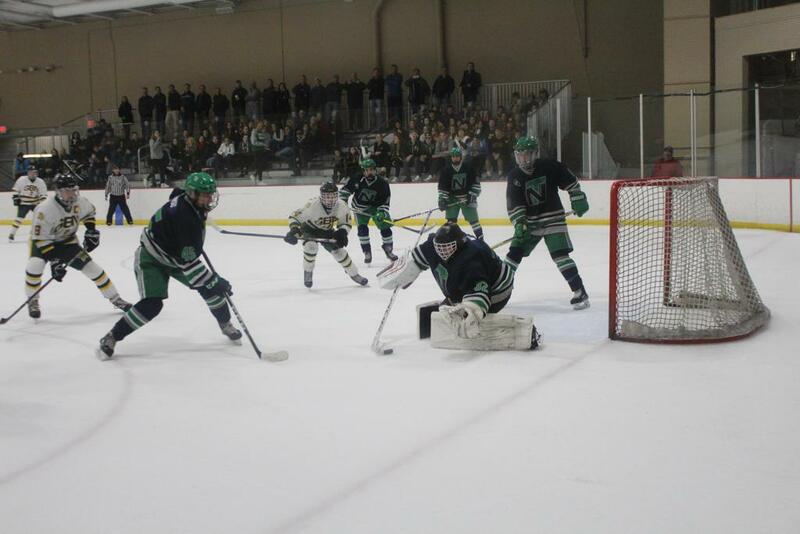 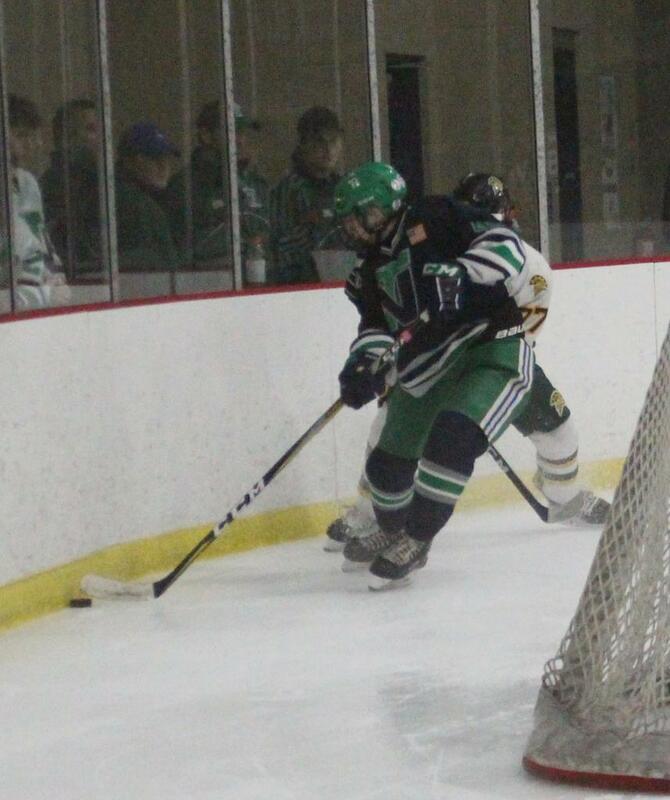 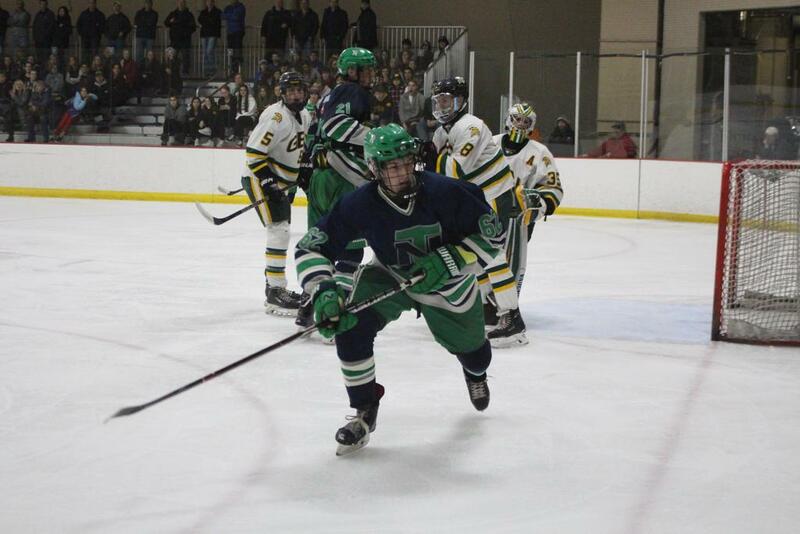 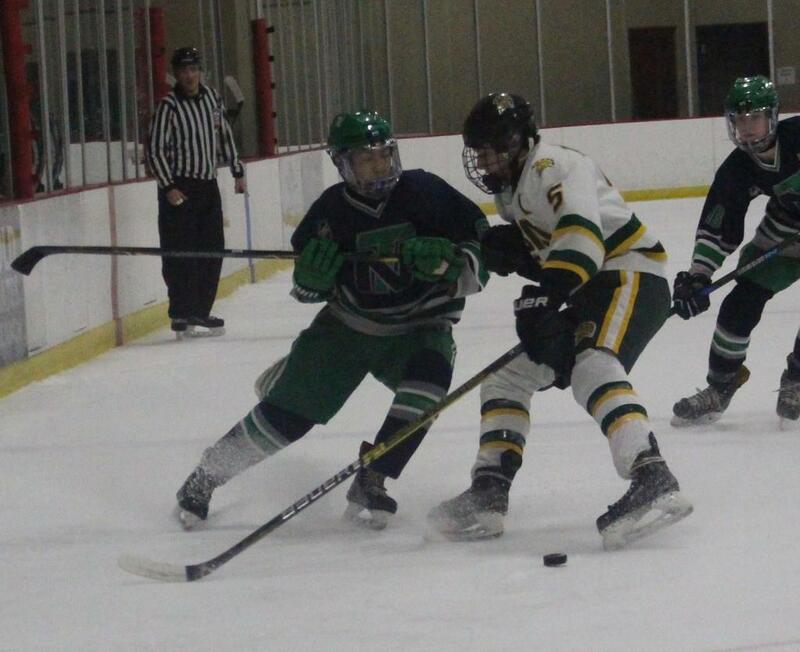 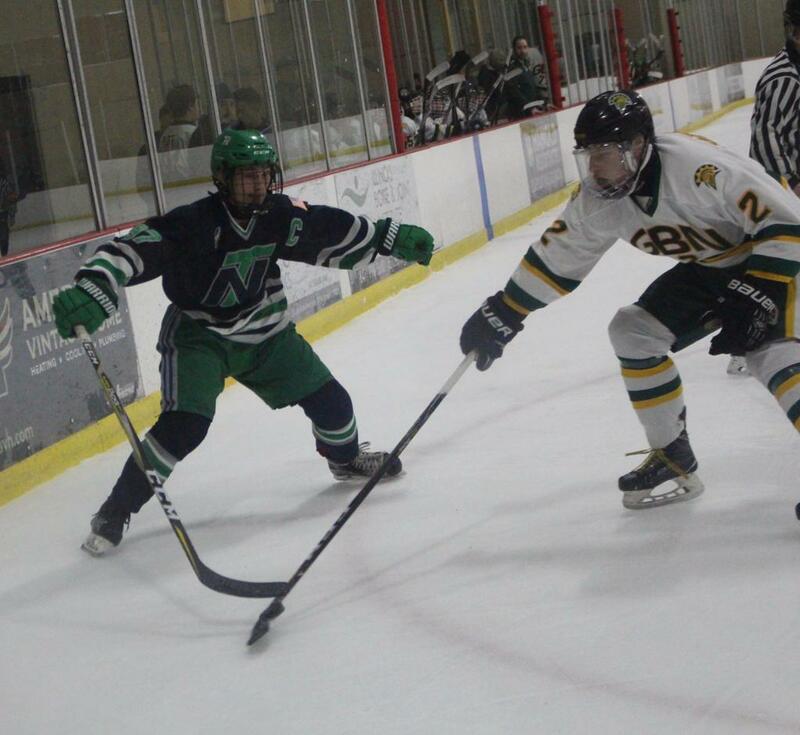 The Trevians bounced back though and ended up taking the win, 4-3 Sunday night in Northbrook. 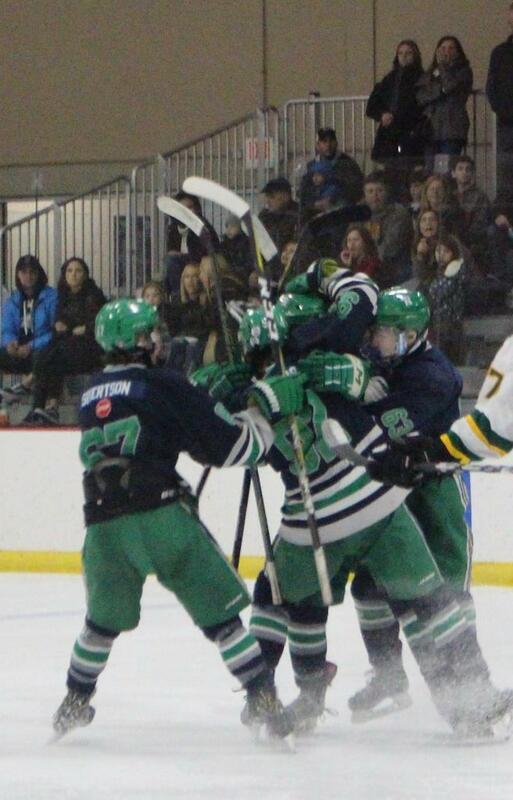 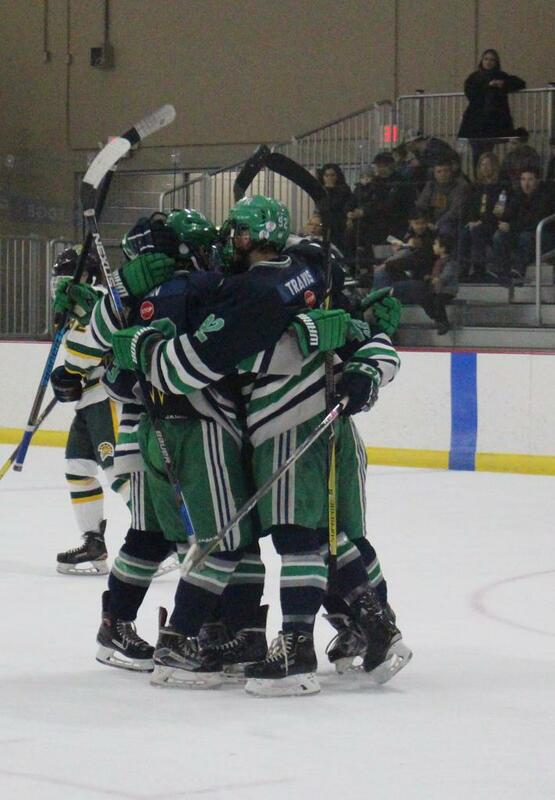 New Trier made sure they didn’t leave the first period empty handed after a goal from JT Travis with 1:40 left. 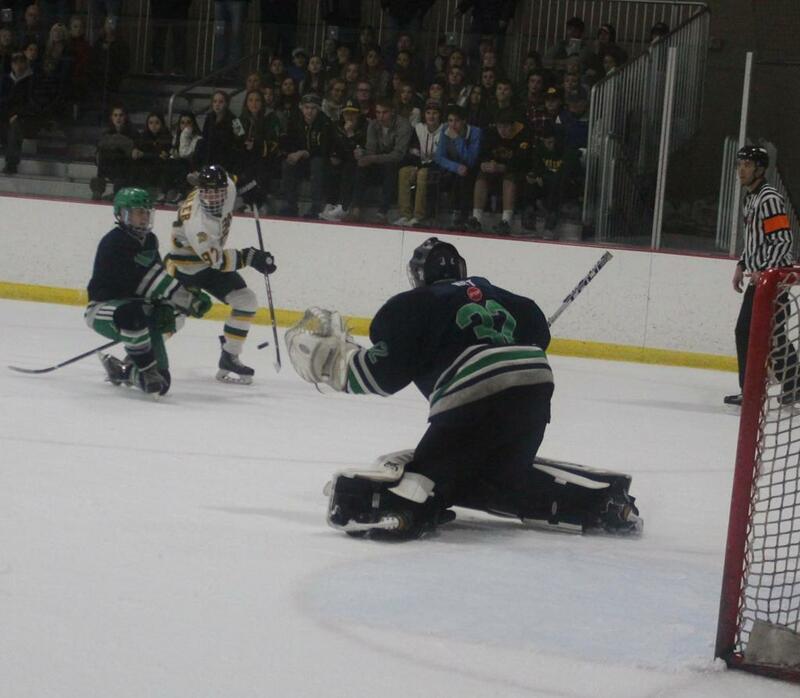 Ryan Gallagher swooped in for the tie in the second period and things got interesting. 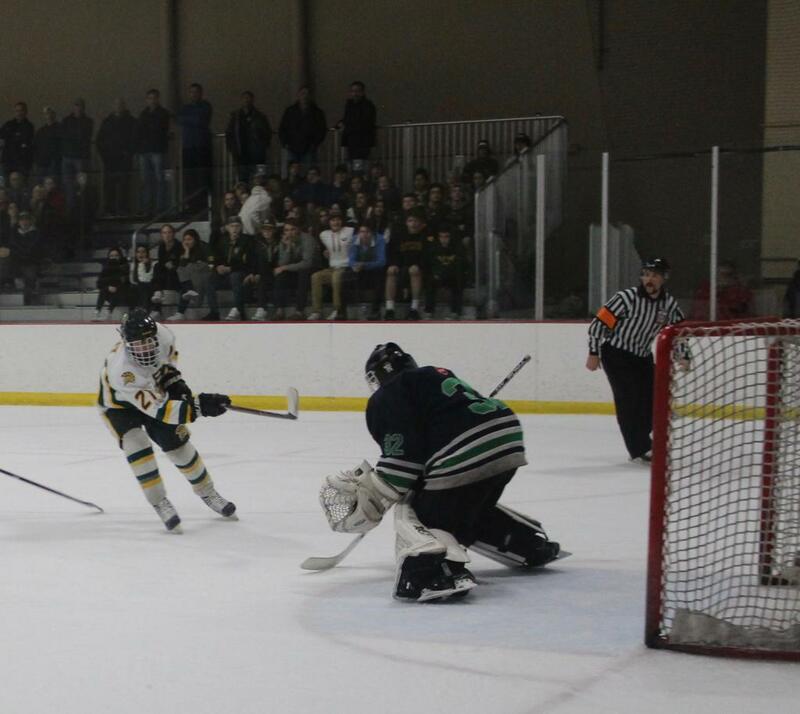 Day knocked in his second of the night to break the tie with 13:05 left in the second and the Spartans carried the lead into the third. 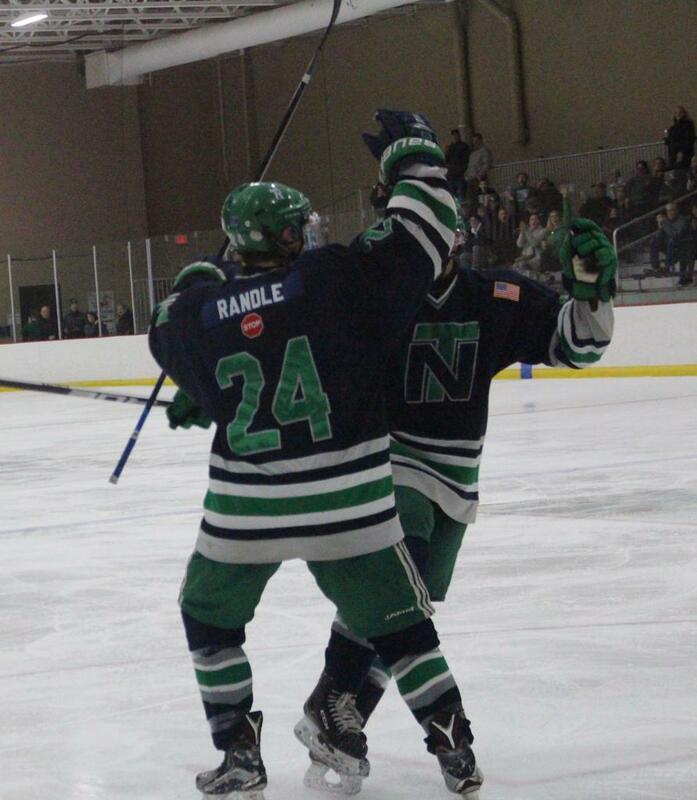 Gavin Randle tied it back up for New Trier with 13:05 left to play and Daniel Pugliese knocked in the game-winner. 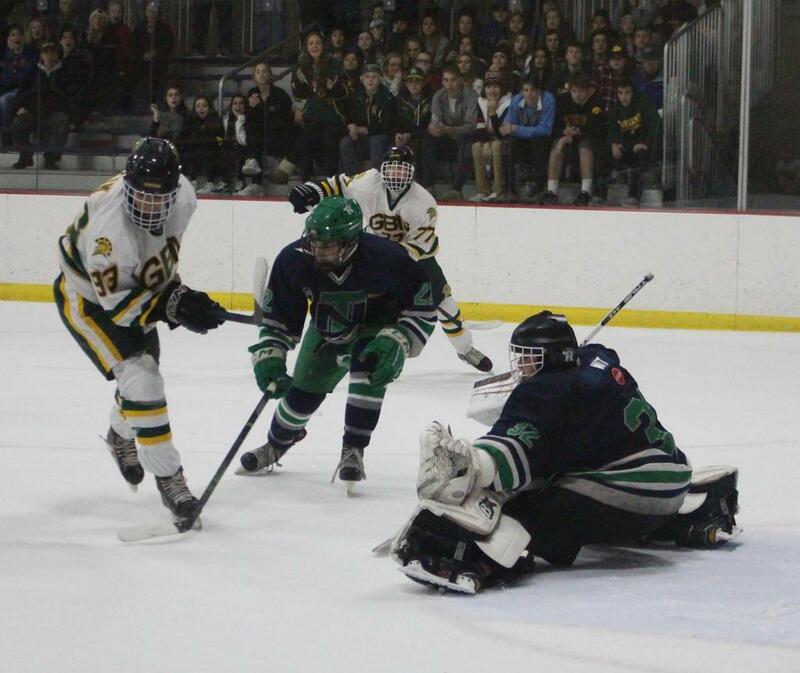 As for Glenbrook North, head coach Evan Poulakidas said they did it to themselves.